To doll or not to doll? That is the question. Any writer currently tiptoeing through the cliché minefield that is the Ghost Story will likely have pondered this question at some weary, uninspired point in the wee small hours: can I, or can I not, have a scene with a Scary Doll™ in it? 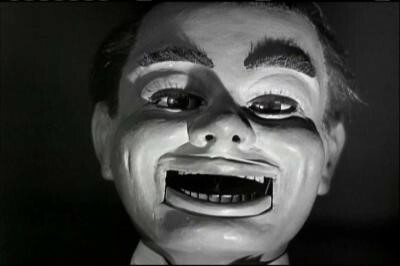 The Scary Doll™, as we all know, has been Done to Death. But so, too have shadows and candles and sinister disembodied giggling – and I’ve happily included all those clichés in my Magnum Opus. But is the Scary Doll™ a step too far across the cliché minefield? Will the Scary Doll™ explode in your face? For this particular writer the answer is: yes. In draft 1 of the novel I bravely attempted to ‘doll’ (And now came a clack as it hauled itself up and sat stiffly in lace dress and bootees, the hint of a tooth in its sluttish red mouth). Other drafts have been burdened with kilt-wearing dollies and dollies with teapots and balding monstrosities smothered in lace. But, in each case, the sinister hellspawn I’d set on the page was not, in fact, a Scary Doll™ but, rather, its devious (and far more terrifying) cousin: the Hilarious Doll. 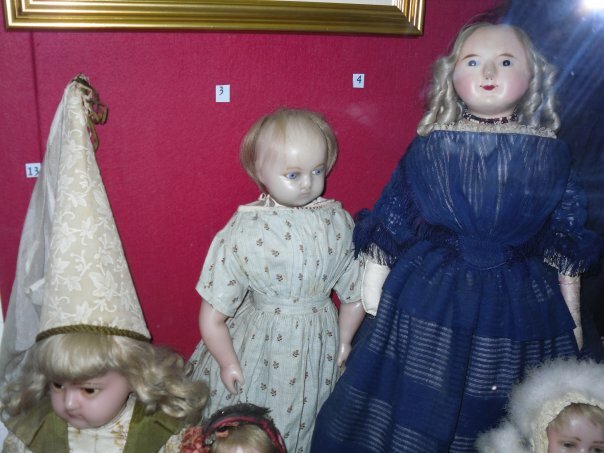 So, regrettably, I’m putting the dolls to bed. There may yet be mileage in a one-eyed teddy bear, but for now I’ll leave with you Hugo, a genuinely terrifying doll from the 1945 horror classic Dead of Night. ← A visit from the evil word-fairy.